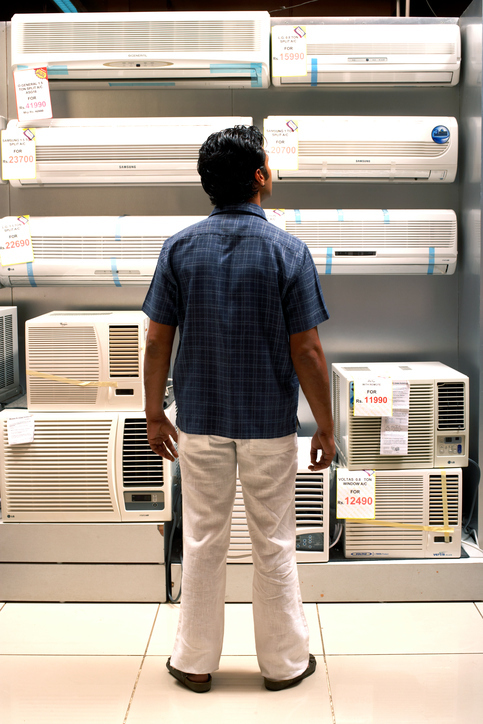 Room A/C Versus Central A/C Versus Heat Pump: Which One Do You Need? July is known throughout North America as the stormiest month of the year. This also means it tends to be the most humid, hot, and downright uncomfortable month. With temperatures ranging into the 30s and humidity heading past 40 percent, it can sometimes feel like there is no retreat from the onslaught of wet and heat. For most Canadians, this is the time when air conditioning ceases to be a luxury and becomes a necessity. 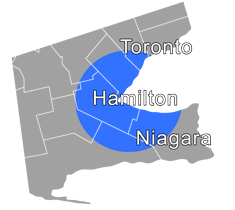 While many Canadians say they still turn off their A/C units at night while sleeping, very few will admit to powering them down during the heat of the day. July is when the average air conditioner is working harder than it will work at any other time during the year, as well as the month when it is more likely to break down than at any other time of year. If this happens to you and you discover your A/C unit is ready for retirement, it can feel like crunch time for choosing a new air conditioner. In this post, learn about the benefits and drawbacks of three different types of air conditioners and decide what is the best choice for your home. A room air conditioner can be either a window unit or a ductless mini-split. If you opt for the latter unit type, you can use a zoning system to expand its cooling capacity to more than one room. In either case, a room air conditioner offers you the easiest method of cost control, since you are cooling only a small space at any given time. The key to controlling your costs, of course, is to be able to contain as much of the cool air to that particular space as possible. For general purposes, a room air conditioner is the most cost-effective purchase because, unlike the other two options, you can always take a room air conditioner with you if you decide to move. As well, you will be paying only for sufficient energy to cool a small space, so your energy and maintenance costs will not approach what you would pay to cool an entire home. Best of all, if you purchase one of the newer models of room air conditioners, most will offer a programmable thermostat that uses an energy-efficiency mode to turn the unit on and off automatically to maintain your desired temperature. This can reduce your monthly energy costs even further. A central air conditioner is a cooling-only appliance that works with a system of ducts, a network of tunnels hidden inside the inner recesses of your home that conduct air from the central A/C unit to the other rooms in your home through vents. A central air conditioner is arguably the least energy- and cost-efficient type of air conditioner, because it will be cooling all the rooms in your house every time it turns on, even if most of the rooms are empty (closing the vents in those rooms and shutting their doors can help). Because a central air conditioner relies on a ducted system to deliver temperature-controlled air to each room in the home, it will always draw more energy than a room air conditioner or even a mini-split unit that works on a zone system. As well, you will typically have to do more maintenance with a central A/C unit, because it will be filtering airflow from your entire home through the air filter and the unit itself. So you will need to be especially diligent about changing the air filter monthly and scheduling an annual maintenance checkup to keep your central A/C unit running smoothly all year long. You will also need to pay strict attention to when you run the air conditioner or you can end up paying to cool an empty home! However, with the help of today’s sophisticated programmable thermostats, you can plan ahead to cut your cooling costs during the cooler, nighttime hours and when no one is at home. A heat pump is a newer type of appliance that can pull double duty by redistributing the heat in the air as needed. In summer, the heat is extracted, and in winter, the heat is added back. A heat pump is the priciest investment, since it is both an air conditioner and a heater. As well, like a central A/C unit, a heat pump works using a duct-based system to distribute temperature-controlled air throughout your home. However, a heat pump is also arguably the most efficient choice in terms of the amount of energy it draws, because instead of using refrigerant to change the air temperature, it simply moves heat as needed to cool or warm the air depending on the season. Because your heat pump serves as both an air conditioner and as a heater, you will need to do a bit more maintenance to ensure it can handle its responsibilities in both hot and cold weather. By scheduling a semi-annual maintenance inspection and check-up, you can be sure your heat pump will stay in good working order year-round. For this reason, while you may pay more to have a heat pump installed, you may find you pay even less in monthly utility costs to run your heat pump than you do to run a room air conditioner! Here at Shipton’s Heating & Cooling, we have 92-plus years of expertise in custom-fitting the right size and type of A/C and heating units to different spaces. We specialize in helping our clients achieve the most comfortable indoor temperature for the least expense and energy use. Give us a call at 905-549-4616 to schedule your free consultation. And don’t forget to participate in our summer FREE A/C giveaway!